Alfa Boost accelerates germination, rooting, growth and fruiting. Optimises nutrient uptakes and enhances harvest. Reduces pest infestations and diseases. Strengthens plants, promotes healthy soil life and prevents salt buildup. Regularly from germination to harvest via watering and/or spraying. 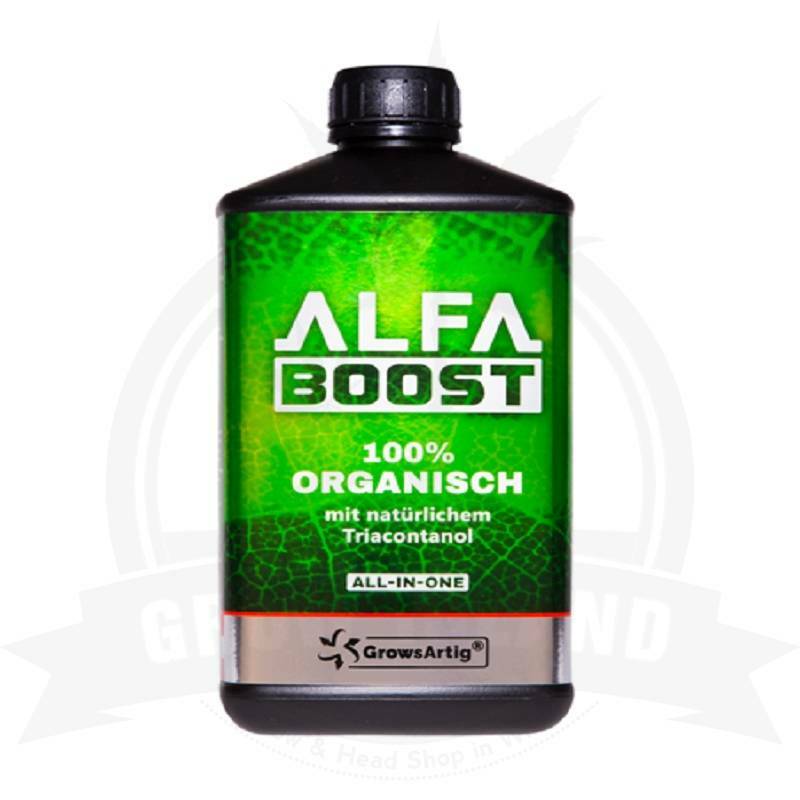 Suitable for all substrates and all stages of plant life (germination, rooting, growth and flowering). Combinable with all fertilisers and boosters. Use prepared solution within 24 hours. This is a naturally produced fertiliser containing no GMO or chemical /synthetic additives.